Small businesses in the clean-energy sector have another opportunity to apply for technical help from U.S. Department of Energy labs through the Small Business Vouchers Pilot. Johanna Wolfson, Technology-to-Market director in the DOE Office of Energy Efficiency and Renewable Energy, launched the pilot’s third round on Oct. 10 at South By Southwest Eco in Austin, Texas. 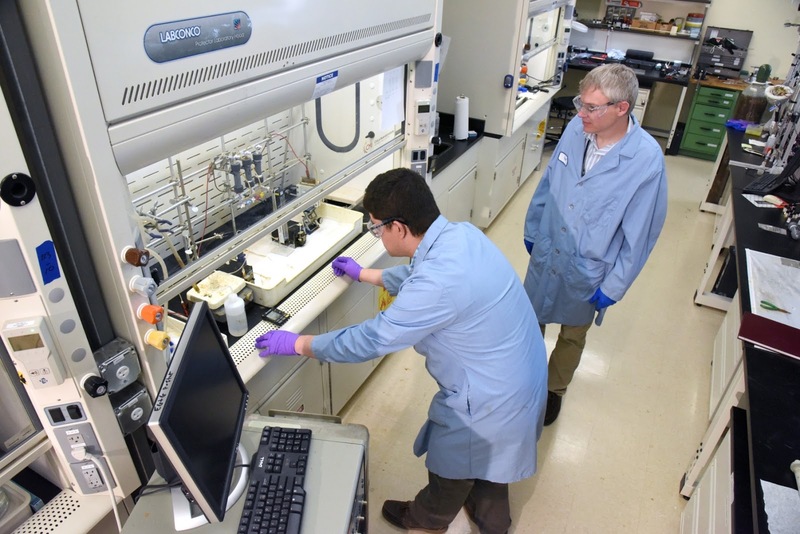 The pilot, part of EERE’s Lab Impact portfolio, aims to help small businesses bring next-generation clean-energy technologies to market faster by giving them access to expertise and tools at national labs. The SBV Pilot opened its first funding round in fall 2015 and launched its second last spring. Since then, nearly 800 applications have been reviewed, and 76 small businesses from 25 states have been awarded a total of $14.7 million in vouchers. EERE recently announced a Small Business Voucher to help Idaho National Laboratory continue work on an electrochemical process to recover gold, silver, palladium and other metals from discarded cell phones and other electronic devices. The lab has received money to work with e-Materials Recovery, a company based in Austintown, Ohio, that has developed a processes that reduces printed circuit boards to char without producing the toxic fumes associated with more widely used smelting processes. To read the story, follow this link: Recyling Critical Materials: Collaboration With Ohio Company to Recover Gold, Minerals From Electronic Devices. For this third round, EERE welcomes the chance to collaborate with small businesses that have little to no experience working with a DOE national laboratory. Businesses interested in SBV funding must be U.S.-based and U.S.-owned, with no more than 500 full-time employees worldwide. In rounds three and four, $12 million is available for vouchers. Companies have until Nov. 10 to submit RFAs. To learn more about Idaho National Laboratory’s expertise and the process to submit a RFA, please visit http://www.SBV.org or contact Tammie Borders, tammie.borders@inl.gov (208-526-3992).